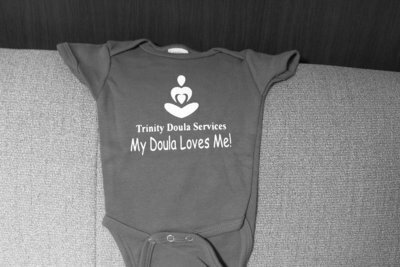 One of the biggest concerns we hear from couples who may be considering a doula is that they are worried Dad will be left out. That because of us stepping in to support mom, they will be pushed back. This could not be any further from the truth. Doulas are for Dads just as much as they are for mom. It just looks different. Mom may need more physical support while Dad needs more emotional support. Mom is always our focus, she’s the one doing the most work to bring this baby into the world. But, a good doula makes just as much effort to support Dad or other important family members during the pregnancy, birth and postpartum period. We’ve put together some ideas on how to help the Dad and Doula relationship grow. Having Dad present during the meetings with your doula is a great opportunity for him to get to know your doula, ask questions he has and receive education about things that he may not have known previously. Preparing Dad for labor, helping him learn what to expect and even some of the medical jargon, is just as important as preparing Mom for these things. Dads who feel knowledgeable and supported feel they are able to take on a bigger role of supporting Mom during labor. On the other hand, some Dads just aren’t into the birth thing. They want to be present and offer support and love, but don’t desire to do hands on support or be very vocal and that is ok! It’s important for parents to talk about their desires for labor, and expectations. If Mom wants Dad to do the back massages and hold her hand, but hasn’t told Dad that, she may be let down when labor comes and he just sits in the chair in the corner. 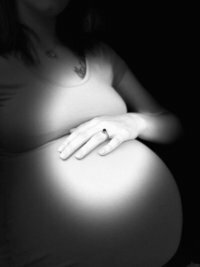 This lack of communication often leads to frustration in the labor room. A doula can help officiate these types of conversations during prenatal visits to help everyone be on the same page and prepared for their role during labor. Doulas do not replace family members. Period. No one can replace the love and care that your spouse, mother, sister, whoever has for you. As doulas we want to build on that love and care and provide you with our own special touch to help you have the best birthing experience you can. Through observation we’ve noticed a lot of Dads do well with some instructions and encouragement when it comes to performing physical comfort measures with Mom. Showing Dad where to press on Mom’s back during a contraction while the doula steps out for a bathroom break gives the opportunity for closeness and intimacy during labor while giving Dad the security that he isn’t the only one to help Mom through this and it’s not all on him. Just as every labor is different, so are Dads. Many Dads immediately know what to do and how to help and the right words to say during labor. Many more are unsure of their role, how to help and worried they may do/say things that offend or irritate. Both Dads can benefit by having a trained birth professional present during labor. Reassurance that everything is going well, explaining medical terms and walking them through labor events as they happen is something most Dads need even if this is their sixth or seventh time in the birthing room. Even the most skeptical of Dads have expressed appreciation for having one of TDS’s Doulas to support their family through this special occasion. Dads and Doulas make a great birth team!